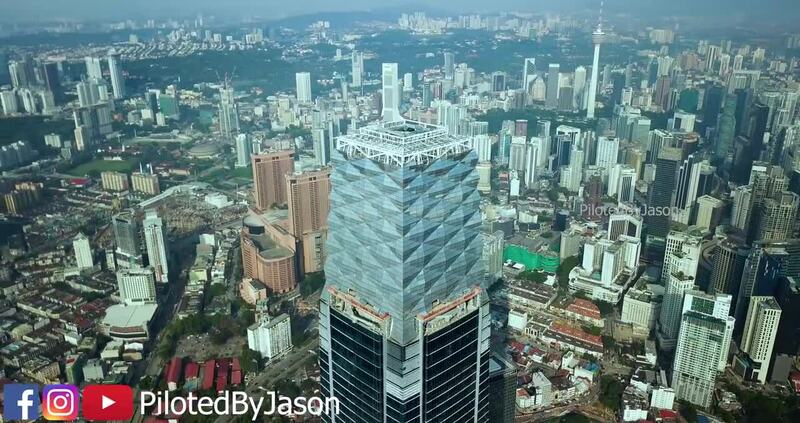 Jason Son created this amazing drone video of the Exchange 106 tower in Kuala Lampur, Malaysia nearing completion in late 2018. The tower is part of the Tun Razak Exchange development in the eastern part of the KL central business district. This massive planned development will eventually include a total of 26 new buildings. The 106 story tower has an architectural height of stands 492 meters (just over 1.6k ft.), which includes the buildings highly innovative illuminated crown.